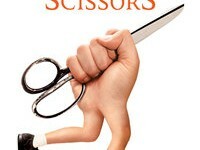 "Running with Scissors" is the hilarious and poignant feature film based on the personal memoirs of Augusten Burroughs. Growing up in the 1970's, young Augusten (Joseph Cross) was living a middle-class existence with an alcoholic father (Alec Baldwin) and a bipolar mother (Annette Bening), an unpublished poet with delusions of becoming famous. When his parents divorce, Augusten's mother sends him to live with her wildly unorthodox psychiatrist, Dr. Finch (Brian Cox) and his eccentric extended family. "Running with Scissors" chronicles Augusten's survival under the most extraordinary of circumstances.